The beach brings back many fond summer memories for young and young at heart. 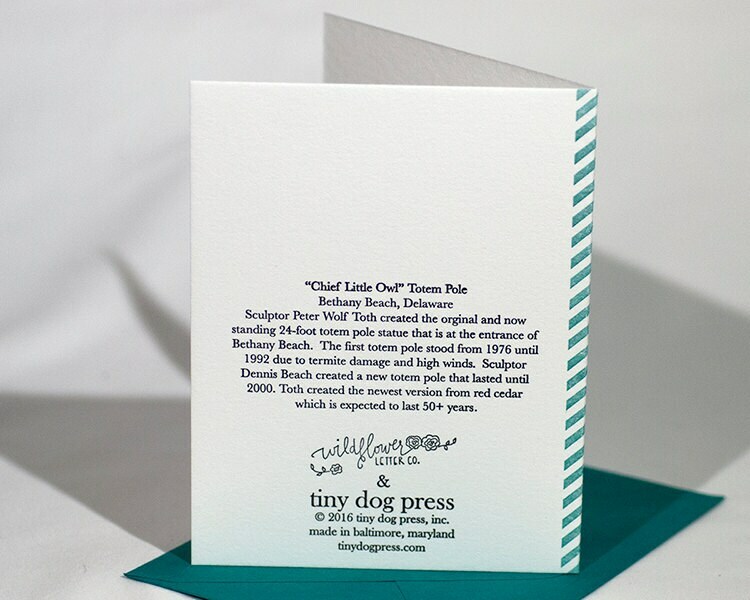 This 2 color letterpress card illustrates the totem pole as you enter the main square of Bethany Beach, Delaware. 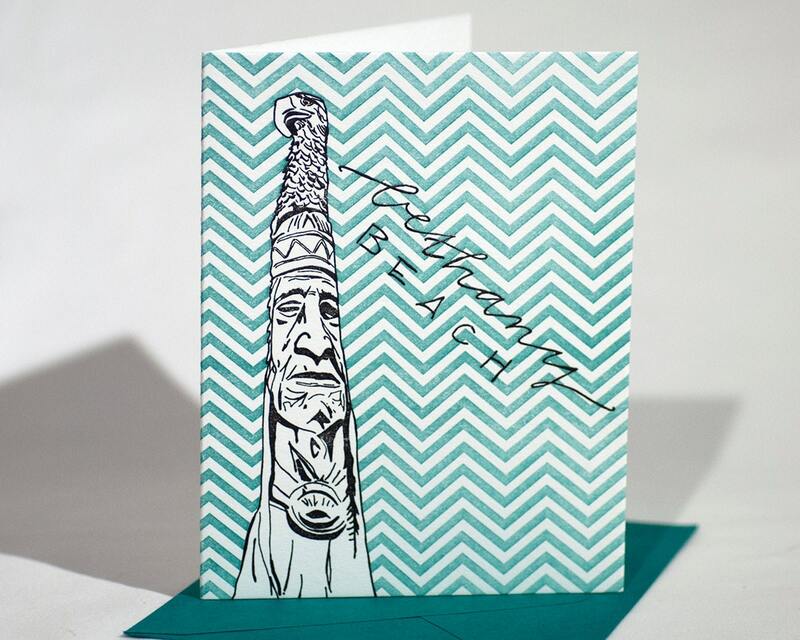 There is a chevron pattern in the background and a short blurb about the totem pole on the back of the card.